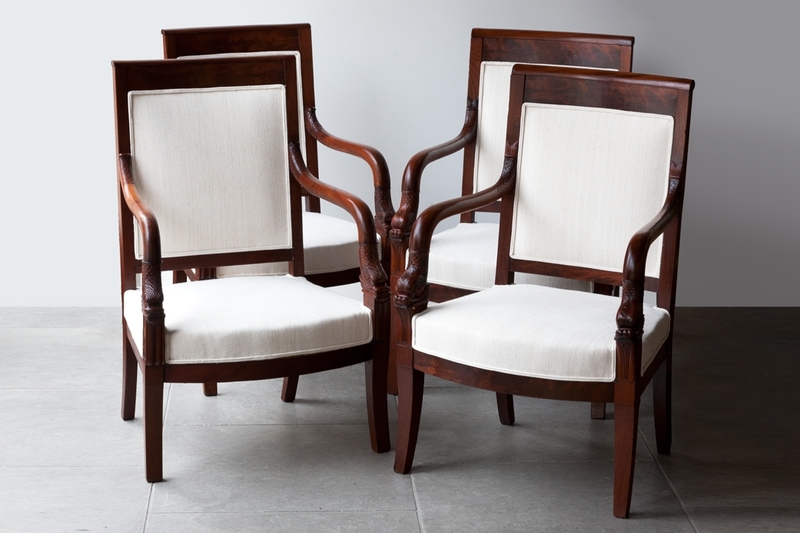 Set of four Restauration mahogany fauteuils. With carved dolphin heads to the base of the arms standing on curved sabre legs to the front and rear. France circa 1825. 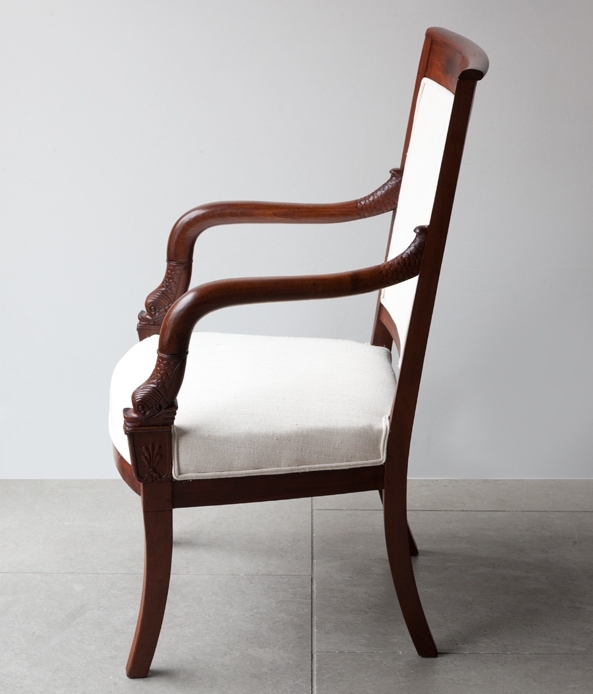 Fully re-upholstered in an antique off white linen. SEAT HEIGHT: 40 cm (15¾”) You can see further images on our website. H. 94 W. 61 D. 49 cm. H. 37 W. 24 D. 19 in.